DeKalb defeats Belvidere North, 3-0, at Barb Cup in DeKalb Thursday evening. 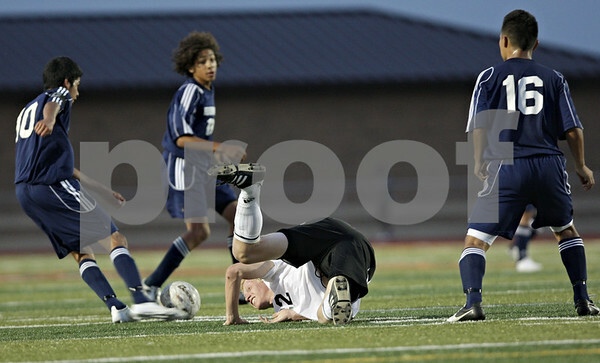 DeKalb's Cully Hicks (22) is tripped up during the second half at Barb Cup in DeKalb Thursday, Aug. 23, 2012. DeKalb defeated Belvidere North, 3-0.